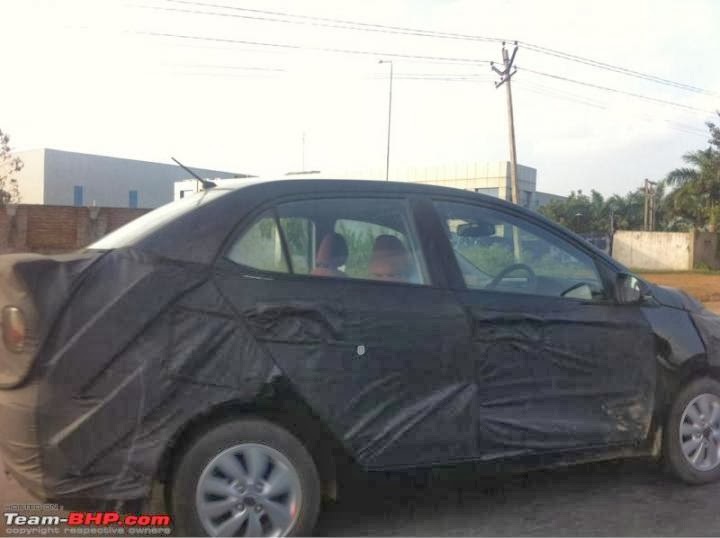 Hyundai Grand i10 sedan continues testing even the launch date is nearby. The compact sedan is expected to be launched on 4th Feb 2014 as already briefed to you a couple of hours before. The Auto Expo 2014 will be opened for media people on 5th & 6th Feb however for the masses the same will be opened on 7th Feb until 12th Feb 2014. The compact sedan segment is one of the fastest growing segment as of now with sales of Dzire and Amaze being on top of the charts and both grabbing one of the top 10 positions. Honda's recently launched Amaze has sold 55,000 cars till date. 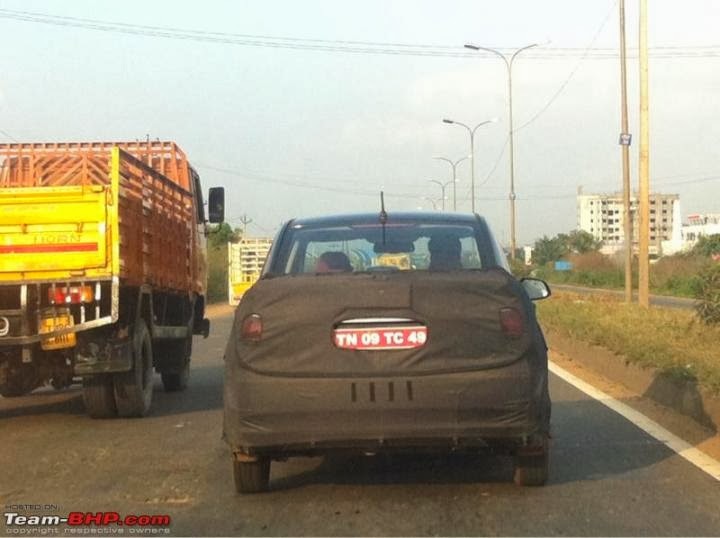 Built on the BA platform underpinning the Grand i10, the sedan will share engines and gearboxes with the hatchback. The petrol engine is a 1.2-liter four-cylinder with Hyundai’s Dual VTVT technology. It produces 83 PS at 6,000 rpm and 11.6 kgm of torque at 4,000 rpm, and comes mated to a 5-speed manual or a 4-speed automatic transmission. The car will also be equipped with 1.1L Diesel engine producing 71PS of power at 4,000 rpm and 16.3 Kgm of torque mated to a 5 speed manual transmission. The Korean carmaker also plans to launch Santa Fe on 6th February 2014 at 2014 Auto Expo.